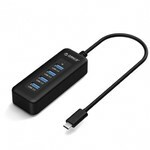 If you only have a USB type-C connection on your laptop or computer and you want to connect devices with USB type-A, then this USB hub offers the solution! 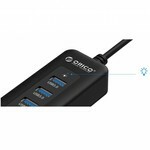 Ideal for easily connecting multiple USB devices to the latest computer, smartphone or tablet with USB type-C connection. This USB hub with four ports has the USB3.0 technology that allows a speed of up to 5Gbps. This is up to 10 times faster than with USB2.0. 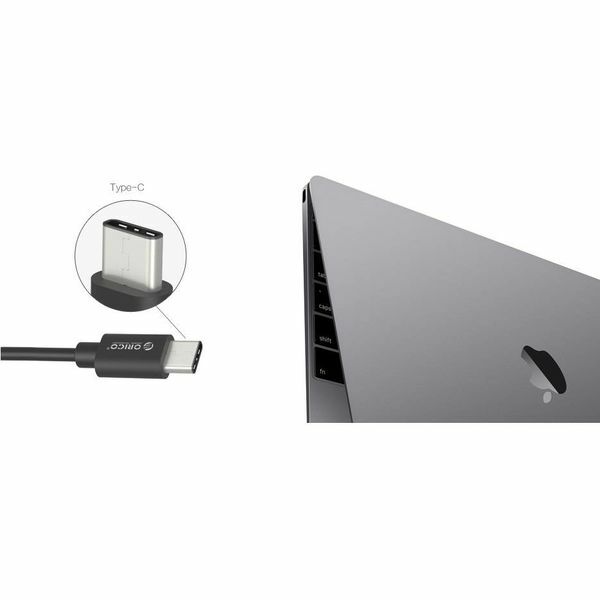 USB type-C is the latest USB standard and will eventually replace the traditional USB type-A connector. We already see the new USB type C connection with many new computers and laptops. 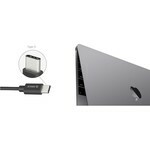 With the latest MacBooks, all type-A connections have been discontinued and these are only supplied with a USB type-C port for a sleeker design. Is this the same with your new MacBook and can not you do without type-A ports for peripherals? 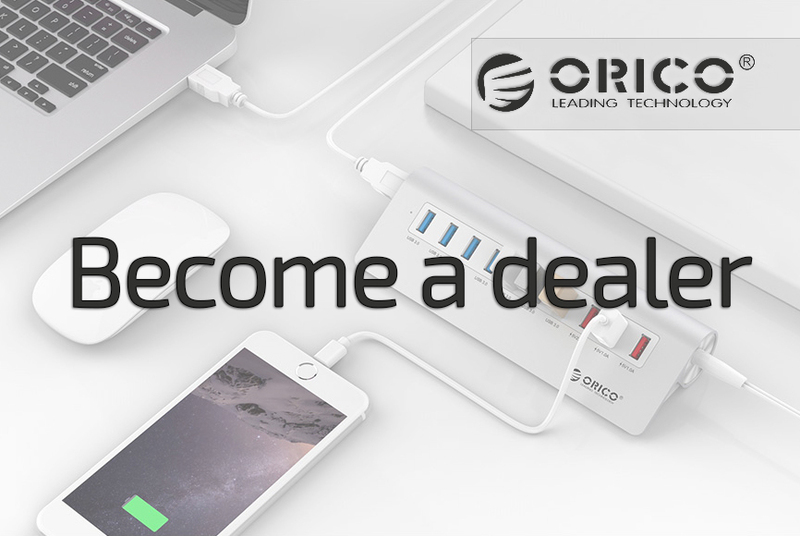 Then this Orico USB hub is perfect for you. The compact size ensures that this USB hub takes up very little space. Because of this and due to the light weight, the USB3.0 hub with four type-A ports and type-C connection is easy to take anywhere. You can therefore work organized anywhere and anytime. The Orico 4 port type-C hub is compatible with Windows XP / Vista / 7/8 / 8.1 / 10, Mac, Linux and Android 4.2. This beautiful USB 3.0 type-C hub with 4 ports has a Multi-Safety security system. It is protected against over-voltage, over-current, short-circuit, leakage current and overheating. ✔ USB 3.0 type-C connection. 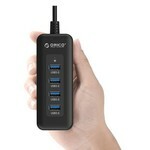 ✔ 4x USB 3.0 type-A ports. ✔ Up to 5Gbps SuperSpeed ​​via USB 3.0. ✔ Backwards compatible with USB2.0 and USB1.1. ✔ Suitable for Windows XP / Vista / 7/8 / 8.1 / 10, Mac OS 9.1 or higher, Linux and Android 4.2. ✔ Product dimensions: 110mm x 40mm x 22mm.